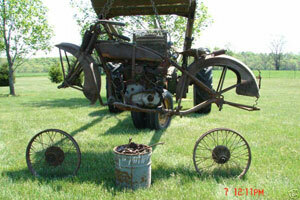 This 1928 Super X project was on eBay the next county over from Steve's house. 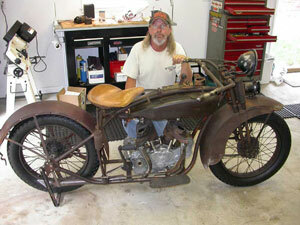 He had restored several older Harleys and wanted a project that was something a little different so took the plunge. Below are an as purchased (May 2006) and current (Sept. 2009) photo. As you can see Steve is making great progress and hopes to have the bike on the road in 2010.